Look no further if you want all eyes on your bag. 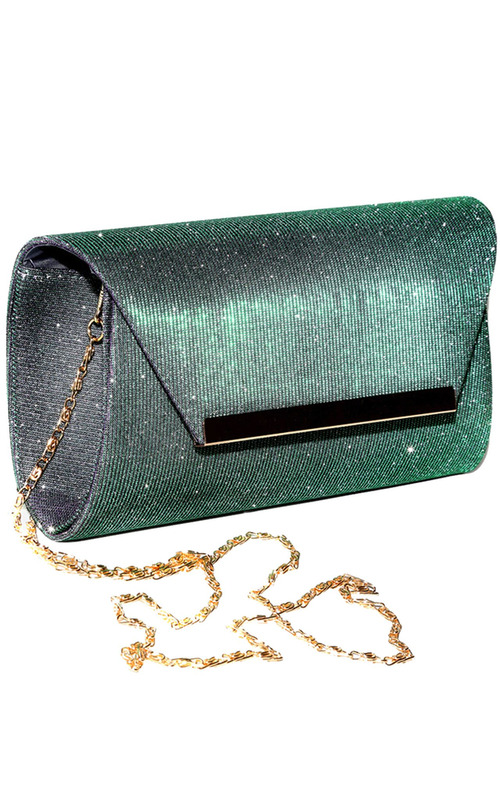 This women's Iridescent glitter bag is perfect for day and evening. The green and purple shimmer can work with any outfit and make it pop. The gold chain makes this clutch bag the perfect over the shoulder handbag as well.